Diamond prospectors in West Africa finally have a clue where to look for the ‘girl’s best friend’. A US researcher believes that one particular plant could be “an unusual botanical indicator” which grows where there may be diamonds beneath the soil. Liberia, a major source of ‘blood diamonds’, is home to the thorny plant whose name sounds like an incantation: pandanus candelabrum. The plant tends to grow only on the kimberlite-derived soil (potassium, phosphorous and magnesium-high) which appears at the top of pipes of the igneous rock. Miners are aware that particular plants, like haumaniastrum katangense in Africa or pink flowers of lychnis alpina (found in the mountains where the soil also contains copper) can tip-off which rocks lie beneath. 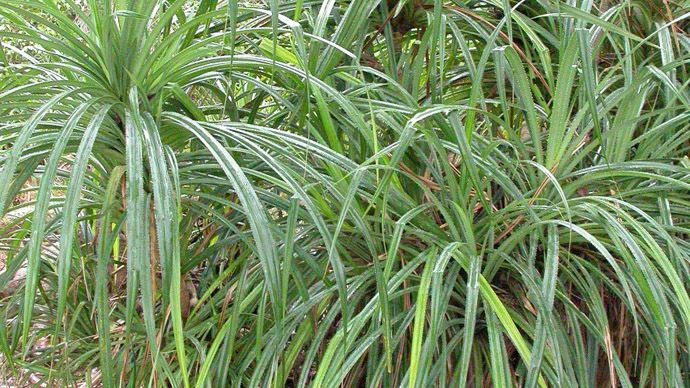 According to Haggerty, pandanus candelabrum is “the first plant to be described that has a marked affinity for kimberlite pipes.” While kimberlite pipes are found around the world, pandanus candelabrum is only found in West Africa.